From the depths of the oceans to the highest reaches of the atmosphere, the human impact on the environment is significant and undeniable. These forms of global and local environmental change collectively appear to signal the arrival of a new geological epoch: the Anthropocene. This is a geological era defined not by natural environmental fluctuations or meteorite impacts, but by collective actions of humanity. 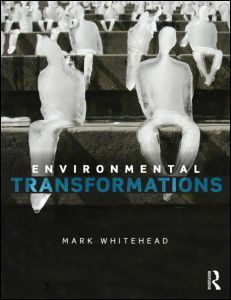 Environmental Transformations offers a concise and accessible introduction to the human practices and systems that sustain the Anthropocene. It combines accounts of the carbon cycle, global heat balances, entropy, hydrology, forest ecology and pedology, with theories of demography, war, industrial capitalism, urban development, state theory and behavioural psychology. This book charts the particular role of geography and geographers in studying environmental change and its human drivers. It provides a review of critical theories that can help to uncover the socio-economic and political factors that influence environmental change. It also explores key issues in contemporary environmental studies, such as resource use, water scarcity, climate change, industrial pollution and deforestation. These issues are ‘mapped’ through a series of geographical case studies to illustrate the particular value of geographical notions of space, place and scale, in uncovering the complex nature of environmental change in different socio-economic, political and cultural contexts. Finally, the book considers the different ways in which nations, communities and individuals around the world are adapting to environmental change in the twenty-first century. Particular attention is given throughout to the uneven geographical opportunities that different communities have to adapt to environmental change and to the questions of social justice this situation raises. This book encourages students to engage in the scientific uncertainties that surround the study of environmental change, while also discussing both pessimistic and more optimistic views on the ability of humanity to address the environmental challenges of our current era.